Have you gotten bored with the current look of your bedroom? If so, don’t fret, you can easily update the look of the space without having to invest in redecorating the entire room and starting from scratch. With a few clever changes and interior design tricks, you can update your bedroom in no time, and give it a fresh lease of life. Changing the colour scheme of your bedroom is one of the easiest ways to overhaul the entire look of the room without having to redecorate it. Even if your bedroom is a strong colour, you can change the colour scheme of the room by switching out your accessories, throw pillows, blinds, and linens for a new colour. For a stylish aesthetic, look for items that fall into the same colour family but are all different shades, in order to create a cohesive look without it all looking too uniform or in your face. Most people underestimate the difference that adding a rug can make to a room. Statement pieces and textured rugs draw the eye towards them and they can quickly take the look of a room from cold and formal to warm and inviting. When it comes to buying rugs for your bedroom, you can either add textured rugs and bring a new dimension to your flooring if you already have a carpeted room. Or, if you have hardwood flooring, you can really let your imagination run wild, and add something like a faux fur rug or a large animal skin or pelt for a cosy cabin feel. Adding a rug is also a great way of breathing life back into a carpet that has become faded, stained, or just worn in, as it can easily cover these imperfections, saving you the cost of recarpeting the entire room. Adding new textures to update the look of your bedroom can be done in a number of different ways. 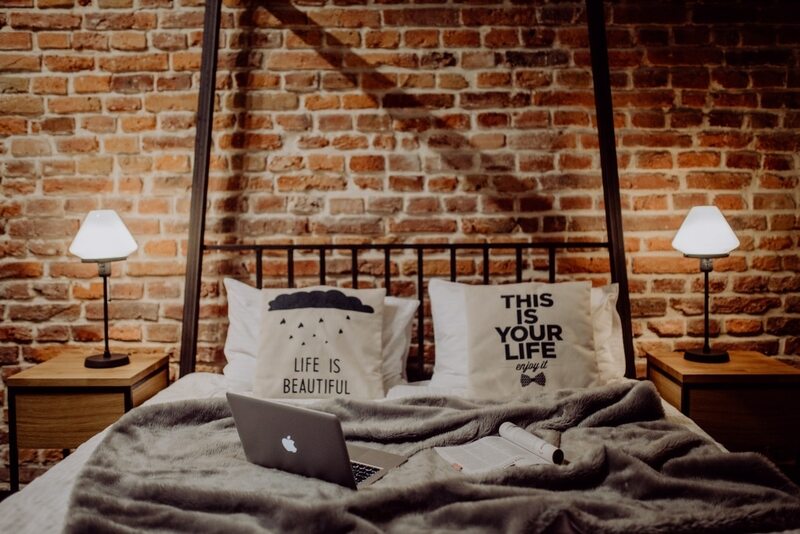 How you choose to add texture to your bedroom will depend on the overall look you want to achieve and the furnishing you are willing to change. We have already talked about adding rugs, and this is a great way of adding different textures especially if you layer different rugs together. 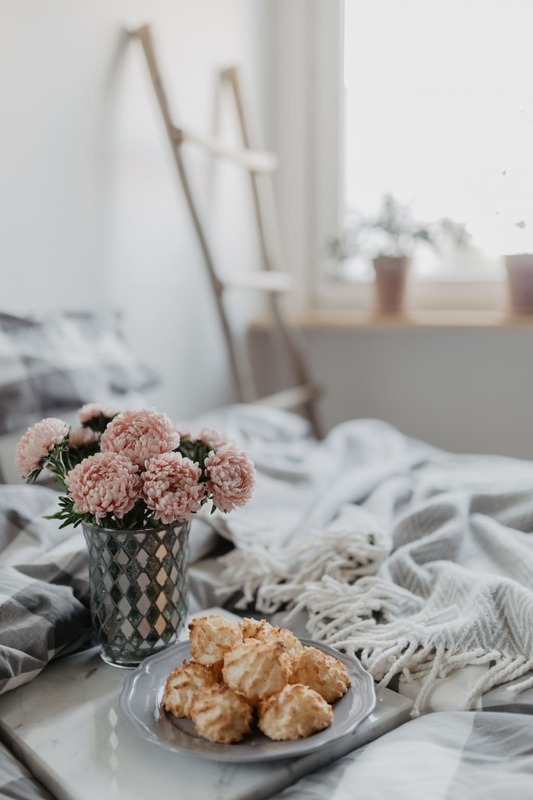 You can also incorporate new textures by changing out your throw pillows to chunky knitted ones, and investing in a new throw or blanket to finish off your bed. Lighting can have a big effect on the look of any room, and when used correctly it can even make small rooms feel more spacious and change the entire mood of the space. To see your bedroom in a new light, try switching up your lighting fixtures, whether that be changing your lamps shades or central lighting fixture. Adding free-standing floor lamps will also freshen up the look of your bedroom, giving it a more modern feel, and more lighting to make it feel bigger even in the darker months of the year. Our bedroom really needs an overhaul, but we are possibly moving soon. Then the whole house will need overhauling as its a bit run down, so I will use your tips here and not just for the bedroom! Oh that will be exciting moving house! Oh I really want to add some pink! Do you!? I get bored too but usually after about a year! good advice here – I’m desperate to update our bedroom decor – yes you’re right about lighting and rugs making such a difference. Great little tips here, love the blanket on your bed, it looks super snuggly. Lovely post. These are some great ideas to update bedrooms, I definitely agree with rugs just making such a difference to a room. I recently have added a rug to my room and I love it! I always love to change around my pillows as well just to give the room a different feel.